The European Space Agency on Nov. 23 said its Schiaparelli lander’s crash landing on Mars on Oct. 19 followed an unexplained saturation of its inertial measurement unit, which delivered bad data to the lander’s computer and forced a premature release of its parachute. Polluted by the IMU data, the lander’s computer apparently thought it had either already landed or was just about to land. The parachute system was released, the braking thrusters were fired only briefly and the on-ground systems were activated. 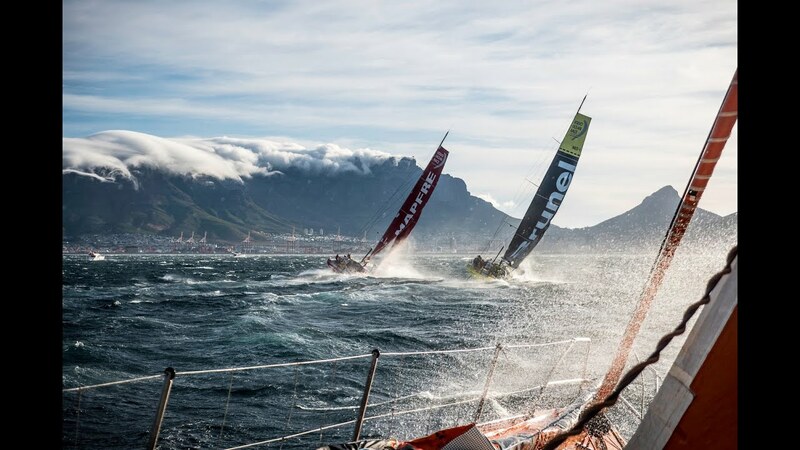 Inmarsat (LSE:ISAT.L) will return as the Volvo Ocean Race’s official Global Satellite Communications Partner. The ongoing partnership advances the possibilities of onboard satellite communications and powers the Race’s digital content delivery from the oceans, while supplying crucial safety and tracking services. Inmarsat’s fleet of satellites, some 36,000km out in space, deliver the Race communications technology. Inmarsat FleetBroadband provides an ‘always-on’ connection for teams allowing applications such as internet access, emails, calls, weather reporting and telemedicine. It also features streaming IP available on demand, for live applications such as high-quality video streaming. Global Xpress will make its first contribution to the Race supporting press and media at race villages throughout the globe. Surfing in the air is increasingly becoming available for Singapore Airlines (SIA) travellers, with half of the carrier's fleet - about 50 planes - Wi-Fi friendly. More aircraft will be progressively equipped. Subsidiary Scoot, which operates budget flights, has a fleet of 12 Boeing 787s which all offer customers Wi-Fi access. SIA and Scoot are among about 70 airlines that provide the service, for a fee in many cases. The take-up rate for inflight Wi-Fi service has been good, said both SIA and Scoot, but they declined to provide numbers for "competitive reasons". For Scoot, the service is particularly popular for longer-haul flights and flights operated in the day, said the airline's chief commercial officer Leslie Thng. Orbital ATK has completed its sixth cargo delivery mission to the International Space Station for NASA the company announced on Nov. 28. Known as OA-5, the mission marked the company’s return to flight operations from NASA’s Wallops Flight Facility in Wallops Island, Virginia, and the second time Cygnus has been used as a platform for conducting research in space. On Nov. 27, at approximately 6:40 p.m. EST, Cygnus performed a safe, destructive re-entry into Earth’s atmosphere over the Pacific Ocean east of New Zealand, successfully concluding the OA-5 mission. It’s no secret that every launch services provider is working on new rockets. The industry has entered a time of accelerated change, with SpaceX being a far from inconsequential reason. But more factors than just SpaceX are stirring up change. Satellites, as well as operator expectations, are evolving, and as a result, launch services must evolve too. There was a time when satellites could be described as more “routine.” Yes, most are heavily customized beasts of machines, but the launch sector knew what operators needed and had solutions to fit the bill. Now, times are different, and the same rockets will no longer suffice. The AST Group of companies (AST), a leading global provider of satellite and radio communications, including custom satellite solutions, Push-to-Talk and remote asset management and tracking is excited to have been selected as a Service Provider for Iridium PTT. Iridium PTT is the world’s first global, satellite-based push-to-talk service, enabling instant communication between participants located anywhere on earth. Iridium PTT provides a fast, simple, and global service making the Iridium network available to tens, or tens of thousands of devices with the push of a single button. NASA has selected SpaceX to provide launch services for the agency’s Surface Water and Ocean Topography (SWOT) mission. NASA targets launch for April 2021 on a SpaceX Falcon 9 rocket from Space Launch Complex 4E at Vandenberg Air Force Base in California, according to a statement released by the agency. The total cost for NASA to launch SWOT is approximately $112 million, which includes the launch service, spacecraft processing, payload integration, and tracking, data and telemetry support. WASHINGTON — An Orbital ATK Cygnus cargo spacecraft deployed four small satellites for Spire Global Nov. 25, the first time a cargo vessel deployed satellites above the orbit of the International Space Station. The four Lemur-2 satellites were released from the Cygnus vehicle after it raised its orbit to an altitude of 500 kilometers. The Cygnus, which departed the ISS Nov. 21, raised its orbit for the satellite deployment prior to a planned reentry Nov. 27. While Cygnus vehicles have deployed cubesats after departing the station, this was the first time that the Cygnus raised its orbit above the ISS prior to the deployment. The higher orbit gives the satellites a longer orbital lifetime: about two years from that higher orbit, versus nine months had they been deployed at the same altitude of the station. The GOES-R weather satellite lifted off from Florida’s Cape Canaveral Air Force Station Nov. 19 at 6:42 p.m. EST (2342 GMT), riding a United Launch Alliance Atlas 5 rocket to orbit. The spectacular launch, which lit up the Florida evening sky, occurred about one hour later than planned due to issues with the rocket and launch range that were swiftly resolved. HOUSTON — The International Space Station (ISS) received three new crewmembers today (Nov. 19), with the arrival of a Russian Soyuz spacecraft. Cosmonaut Oleg Novitskiy of the Russian federal space agency Roscosmos, astronaut Peggy Whitson of NASA and French astronaut Thomas Pesquet of the European Space Agency (ESA) arrived at the space station at 4:58 p.m. EST (2158 GMT), docking their Soyuz MS-03 spacecraft to the orbiting laboratory’s Rassvet module. The linkup, 260 miles (419 kilometers) above Earth, took place two days after the crew lifted off from the Baikonur Cosmodrome in Kazakhstan on Thursday (Nov. 17). Mohammed Drissi, the regional coordinator for the Rabat search and rescue (SAR) region was presented with the first Inmarsat ‘Vladimir Maksimov Award for Outstanding Achievement’ at the International Maritime Rescue Federation (IMRF) H.E.R.O. (Honouring Excellence in Rescue Operations) Awards 2016, announced yesterday. Mr Drissi received the award in recognition of his outstanding contribution as Moroccan National SAR Coordinator and Chairman of the NW Africa SAR Committee, which monitors and coordinates SAR activities in Morocco and six bordering countries. The event was held jointly in Washington, USA and Lisbon, Portugal. WASHINGTON — Vector Space Systems said Nov. 18 that it has raised $1.25 million in funding to support development of its small launch vehicle, with a goal of a first launch by the end of next year. Extraterrestrial Gold Rush: What's Next for the Space Mining Industry? HOUSTON -- If humans eventually want to become a space-faring species, we'll need to be able to collect basic resources, like water, straight from the space environment; it's too expensive and risky to send everything up from Earth, most experts agree. As such, multiple companies are now trying to initiate a space mining industry, which could provide those basic resources for space travelers, or for robotic space operations. In the future, asteroids or the moon could even provide humans with resources that are rare on Earth, such as precious metals. But there are major hurdles that need to be overcome before space mining can get off the ground, so to speak. Representatives from various companies pursuing space mining activities recently spoke about the state of the industry here at the 2016 Space Commerce Conference and Exposition. Mobile Satellite Services (MSS) operator Thuraya Telecommunicationshas launched what it claims as the world’s first dual mode, dual Subscriber Identity Module (SIM) phone. The Thuraya XT-Pro Dual satellite phone aims to bridge the gap between satellite and terrestrial communications, allowing users to move in and out of terrestrial coverage, according to a statement released by the company. 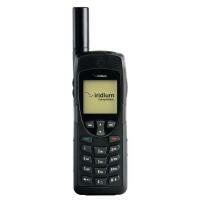 Thuraya’s handset includes a dedicated SIM slot for satellite communications and a second one for GSM communications. Users can opt for a Thuraya SIM card and their GSM card, or select any combination of SIM cards that meets their requirements. Callers can be contacted on their GSM number even while on an active satellite call – and vice versa. Intellian Technologies launches new GX terminal specially designed for use in defence and intelligence applications. The GX100PM is the 1m military grade maritime terminal, Type Approved for use on Inmarsat’s Global Xpress network. It is compatible with Inmarsat’s Global Xpress ‘SATCOM as a Service’ capability, which allows maritime users to access seamless reliable commercial wideband connectivity delivered as managed service worldwide. The GX100PM shares the same pedestal as the v100PM, a 1m Ku-band mil-grade antenna currently deployed on government vessels around the world. 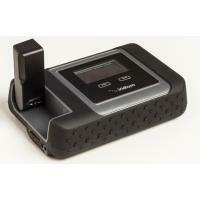 It delivers exceptional Ka-band performance helping to leveraging the proven reliabilityof the v100PM. The contracts deploy iVMS (Integrated Vehicle Monitoring System) from Tunisian Globalstar partner, Virtual Mobile Data (VMD). These new customers have chosen to deploy iVMS (Integrated Vehicle Monitoring System) from Tunisian Globalstar partner, Virtual Mobile Data (VMD). iVMS switches seamlessly between Globalstar’s simplex satellite network and the land-based GSM/GPRS network to ensure the safety of people and equipment even in the most remote areas. VMD worked with local technology partner, Neuron Technology Systems (NTS), to design iVMS, which switches automatically to simplex satellite communications when the GSM network becomes unreliable or if a GPRS transmission fails for any reason. The AMT-73L and the new AMT-83L line of modems from Advantech Wireless, are the first worldwide satellite modems to be MIL-STD-188-165A certified. Based on the Advantech Wireless Software Defined Radio architecture, the design of these modems ensures unrivaled flexibility and upgrade paths to meet increasing demanding requirements. Several thousand units have been deployed in the field on tactical terminals and gateway sites. The newer AMT-83L military-grade satellite modem from Advantech Wireless adds a number of advanced features to the DISA certified AMT-73L series. Among these new features there are DVB-S2 with LDPC Coding and Adaptive Coding and Modulation (ACM), IP data interface, GSE encapsulation, Direct Sequence Spread Spectrum (DSSS) spreading and is available with AES 128/256 Encryption. WASHINGTON--(BUSINESS WIRE)--Inmarsat the leading provider of global mobile satellite communication services, today announced the operational availability of enhanced aeronautical services in support of critical U.S. government Command, Control, Communications, Computers, Intelligence, Surveillance and Reconnaissance (C4ISR) operations. In use today on multiple platforms and missions, government operations are using Inmarsat’s reliable, worldwide L-band space and ground network through micro-antennas as small as 5 inches at unmatched speeds. Inmarsat’s partners now have the ability to deliver record-breaking data rates as high as 10Mbps x 10Mbps. Using high-order modulation, efficiencies up to 4.5 bits per hertz are achieved allowing cost-efficient bandwidth utilization. Elon Musk’s rocket blew up in September. Here’s why one of his main customers isn’t worried. Few have more riding on SpaceX’s next launch than Iridium Satellite Communications. The McLean-based company has spent $3 billion to build a fleet of new, state-of-the-art satellites that would replace an aging constellation that’s been in orbit for years. The company has hired SpaceX for seven missions over the next year to launch dozens into orbit. The only problem: SpaceX’s Falcon 9 rocket has blown up twice. The company is currently grounded again for the second time in two years. And even though SpaceX’s Elon Musk has said the company should fly by mid-December, the investigation into the explosion on Sept. 1 isn’t yet complete and the Federal Aviation Administration hasn’t yet given it the green light to fly. NASA is set to launch its first Earth science small satellite constellation, which will help improve hurricane intensity, track, and storm-surge forecasts, on Dec. 12 from Cape Canaveral Air Force Station in Florida. The Cyclone Global Navigation Satellite System (CYGNSS) hurricane mission will measure previously unknown details crucial to accurately understanding the formation and intensity of tropical cyclones and hurricanes. “As a constellation of eight spacecraft, CYGNSS will do what a single craft can’t in terms of measuring surface wind speeds inside hurricanes and tropical cyclones at high time-resolution, to improve our ability to understand and predict how these deadly storms develop,” said Thomas Zurbuchen, associate administrator for NASA’s Science Mission Directorate at the agency’s headquarters in Washington, D.C.
WASHINGTON — After nearly two months of delay due to wildfires, United Launch Alliance successfully launched an Atlas 5 rocket Nov. 11 carrying an important imaging satellite for DigitalGlobe. The Atlas 5 lifted off at 1:30 p.m. Eastern from Vandenberg Air Force Base in California, carrying the Worldview-4 satellite. DigitalGlobe later confirmed that it received signals from the spacecraft 45 minutes after launch, confirming it was in good health after separation from the rocket’s upper stage. It reads like a famously hedonistic Rolling Stones tour from the early 1970s: 10 cities visited across four continents and 80,128km travelled. Rest assured, however, Inmarsat Aviation’s 38-day global trek during summer 2016 was anything but retro. The GX for Aviation Tour was, in fact, a showcase of the future of connected flying. Together with onboard hardware partner Honeywell, our aviation team took to the skies in Honeywell’s B757 test aircraft. This saw them successfully complete system integration in preparation for the launch of GX for Aviation, the world’s first truly global high-speed broadband service from a single provider. LONDON — The agency providing U.S. government access to Iridium’s global constellation of mobile communications satellites on Nov. 9 urged other nations to join the program to take advantage of its fixed-price, unlimited-access feature. Clare Grason, who manages the Enhanced Mobile Satellite Services (EMSS) program at the U.S. Defense Information Systems Agency, said allied nations are welcome to join the other “Five Eyes” nations — Australia, Britain, Canada and New Zealand — which have already joined the program as EMSS Fair Share members in addition to the United States. “They have the same privileges as the U.S. Department of Defense,” Grason said at the Global Milsatcom conference here, organized by SMi Group. Ocean Scientific International Ltd has added a low-cost, low-power satellite modem to its range of telemetry equipment. The system will publish data (including traditionally high cost/volume currents and waves) from any location globally using the Iridium satellite network. Monthly line rental costs are minimal and data costs are kept low (as little as GBP0.04 per message) by using SBD messaging with big bundle deals available for multiple or long-term deployments. Conventionally current and wave data transmitted via satellite has proved expensive for the end user owing to the large amount of data produced, however OSIL are able to vastly reduce the costs by handling this data differently within the Iridium system. Intellian Technologies, the world’s leading provider of maritime satellite antenna systems announced today the launch of the GX100PM, a 1m GX terminal specially designed for use in Defense and Intelligence applications. The GX100PM is the 1m military grade maritime terminal, Type Approved for use on Inmarsat’s Global Xpress network. It is compatible with Inmarsat’s Global Xpress ‘SATCOM as a Service’ capability, which allows maritime users to access seamless reliable commercial wideband connectivity delivered as managed service worldwide. Now all set to provide the world’s second largest manufacturer of heavy equipment for the construction and mining industries—Komatsu Limited—is Iridium Communications Inc. This agreement will enable Komatsu to integrate their vehicle monitoring system, KOMTRAX, with the Iridium® network to further extend the firm’s reach into global markets that are currently not served by the company. Iridium will provide global asset tracking and monitoring for Komatsu’ KOMTRAX system, a system with more than 400,000 vehicles in the field today. WASHINGTON — Hughes’ latest high-throughput satellite, EchoStar 19, reached Florida’s Cape Canaveral Air Force Station last week in preparation for a Dec. 16 launch atop an Atlas 5 rocket. EchoStar, the parent company of Hughes, switched launch providers last year after it became evident that the satellite, also known as Jupiter 2, would be too large to launch as a co-passenger on an Ariane 5 rocket as originally planned. EchoStar 19/Jupiter 2 — which reached Cape Canaveral Nov. 4 — is a Ka-band satellite that will use high-throughput spot beams to provide consumer broadband under the HughesNet brand. 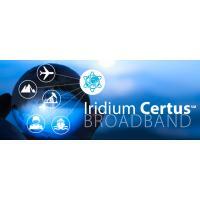 Iridium Communications Inc. (NASDAQ:IRDM) announced today its new suite of aviation products and services, featuring Iridium Certus technology. This next-generation suite features a broad portfolio of products from four leading avionics manufacturers, which will deliver global broadband connectivity for cockpit and passenger communications. Scheduled to launch commercial service in 2017, Iridium Certus is the Company's next-generation multi-service communications platform enabled by its new Iridium NEXT satellite constellation. Iridium Certus will deliver higher throughputs, enterprise-grade reliability and global overage at an unprecedented value. After completion of the Iridium NEXT constellation, Iridium Certus will deliver speeds eventually reaching 1.4 Mbps through some of the smallest and most cost-effective antennas in the industry. PARIS — Mobile satellite services provider Inmarsat on Nov. 3 said launch-service provider SpaceX has identified the root cause of the Sept. 1 explosion of its Falcon 9 rocket during a launch-pad test and likely will return to flight in December. Airplanes need antennas, and lots of them. Some can carry well over 60 for a variety of purposes, but one has come to the spotlight — the antenna for passenger connectivity. This much-needed device is the gateway for in-flight Wi-Fi, but make the antenna too big, and you increase the amount of fuel the airline needs. Make the antenna too small, and it will fail to meet bandwidth demands. The right In-Flight Entertainment and Connectivity (IFEC) antenna must balance this dichotomy, and that is where antenna manufacturers find themselves today. The new head of NASA’s science directorate says he wants to incorporate more innovation into its various missions, but acknowledges that there are limited opportunities to do so in the near future with current missions. In an Oct. 31 roundtable with reporters at NASA Headquarters, Thomas Zurbuchen, named the agency’s associate administrator for science Sept. 27, said he would seek opportunities to incorporate so-called “disruptive” technologies, like small satellites, into the agency’s portfolio of science missions, while making sure it successfully carried out larger missions. As we discuss the oncoming advent of smart shipping, we seem to concentrate on the technologies and possibilities to our operations. There is one key factor that is crucial for all of this to occur. The connectivity. It is it obvious that we assume that connectivity has improved to make this possible? Today I will consider what has improved and what is left to be done. If the connectivity has improved this should logically improve the life of the seafarer, and therefore I want to also examine the human factor in smart shipping but more importantly the human factor when considering connectivity and operations. ATLANTA, Nov. 7, 2016 /PRNewswire/ -- DataPath, Inc., a leading provider of remote field communications and information technology solutions to the aerospace, broadcast, government, and infrastructure markets, announced today the company has become a value-added reseller of Dejero products and services. Dejero's LIVE+ cloud-based platform is known throughout the broadcast industry for instantly and cost-effectively delivering high-quality live video over IP. Including the portable GoBox and EnGo transmitters, as well as the rack-mountable VSET and Transceiver solutions, the combination of Dejero's LIVE+ platform with DataPath's network mobility products, satellite network services and portable satellite terminals allows DataPath to provide newsgathering teams the most robust satellite or bonded cellular connection available at any given time and location worldwide. [Via Satellite 11-04-2016] Israel Aerospace Industries’ (IAI) insurers will pay a sum of $196 million to Spacecom, which is the full amount paid to IAI for the construction and delivery of the Amos 6 satellite, which was destroyed in a SpaceX Falcon 9 rocket explosion during mission preparations Sept. 1. The sum will be paid directly into Spacecom’s bank account during the month of November. Alongside this notice, IAI requested that Spacecom agree to delay this payment from the beginning of the month, as required under the contract, until Nov. 24. Spacecom acceded to this request. Following Spacecom’s receipt of the $196 million payment, the company and IAI will discuss the interest to be paid, as well. Virgin Galactic has postponed the glide test portion of today's flightdue to strong winds. The VSS Unity has landed safely, and the company plans to announce a new test date soon. The space tourism company Virgin Galactic took to the air with its VSS Unity space plane today (Nov. 1) to attempt the craft's first glide flight.